Celebrate programs being implemented in rural areas. Share ideas/practices and build capacity of rural health care providers. Bring delegates from across the province to Brooks to showcase our programs/facilities. 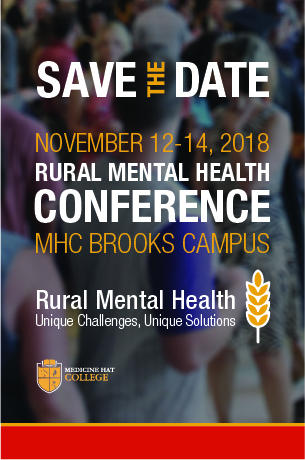 Raise the profile and awareness of rural mental health and form relationships with other communities to advance the practice.